Day three! Day three! 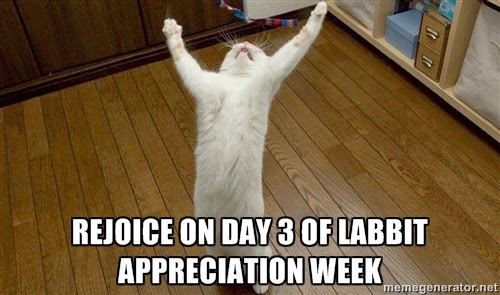 Day three of Labbit Appreciation Week!!!!! I had choreographed an entire routine with cheerleaders and fireworks and stuff, but I forgot to actually write it down, or hire cheerleaders, or go to Pennsylvania and secure festive explosives (New Jersey doesn't understand fun). I forgot to do anything other than think "that would be cool" and then I went and read wrestling news online. My bad. 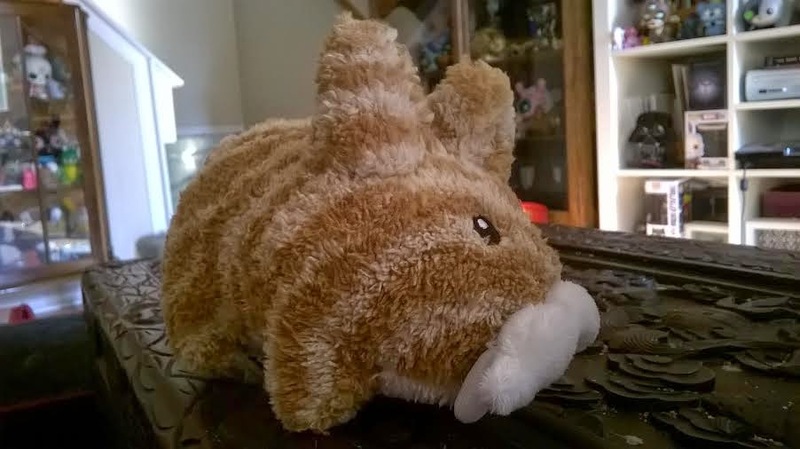 We're going a little soft for the next few days as we talk about plush. Now I for one don't have a lot of plush figures, but my wife does. When we started dating I would try and win her stuffed animals from those crane machines on the boardwalk. She ended up with all kinds of random things that we have boxed up somewhere in the house. But other than that we've kind of ignored the world of stuffed critters. Those days of plush ignorance are now over. 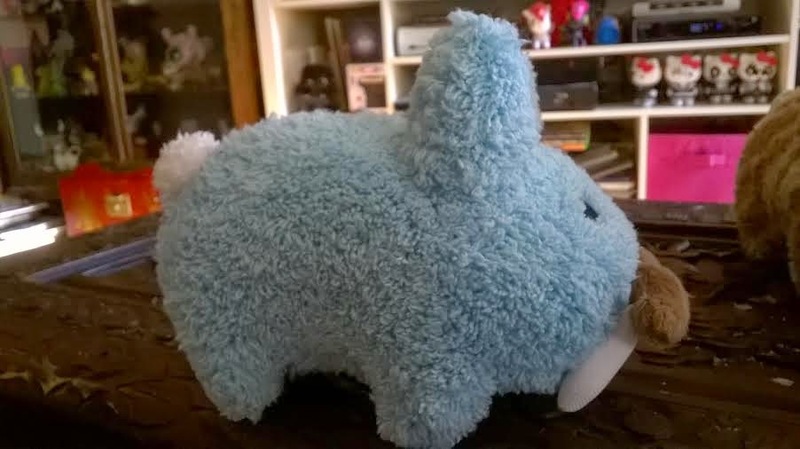 These Labbits aren't just cute and fuzzy, they're also prehistoric. 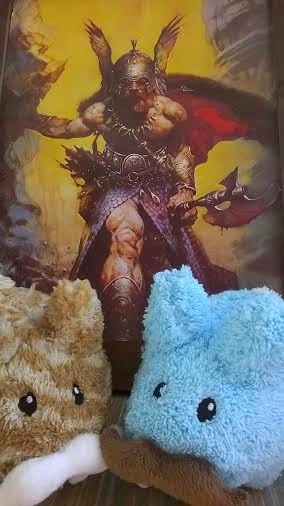 This is like, man-plush, like if Frank Frazetta was gonna design cute little critters. 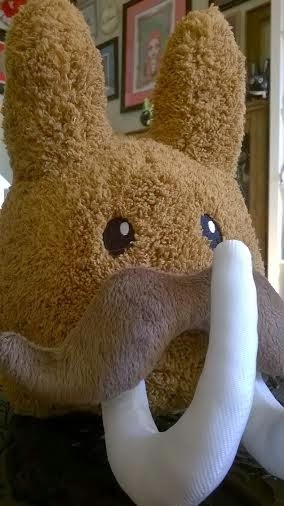 And they have mustaches, which ups the manly level to 1000. I took this picture while saving a small child from a tiger attack. With my bare hands. While building a boat. But they're not just for dudes by any means. They're also some of the softest things you'll ever feel in your life, which the ladies are gonna love. They're softer than that toilet paper those weird cartoon bears are always going on about that totally wrecks your pipes whenever you use more than one and a half squares because that stuff is as thick as a beach towel. I'm gonna need a plumber, fyi. Go ahead and squeeze me. I can take it. It's obvious that these guys are cool and that no matter who you are they posses the qualities you're looking for when you decide to fill your bed with soft cuddly rabbits, but there are some subtle reasons that make them even better that you may not even think of at first. That's why I'm a professional. For one, they don't have those annoying hang tags. For anyone that is interested in keeping their collectibles as pristine as possible this is a a blessing from the toy gods. It would drive me nuts to cut one of those tags off and drive me equally as nuts trying not to bend it all up. 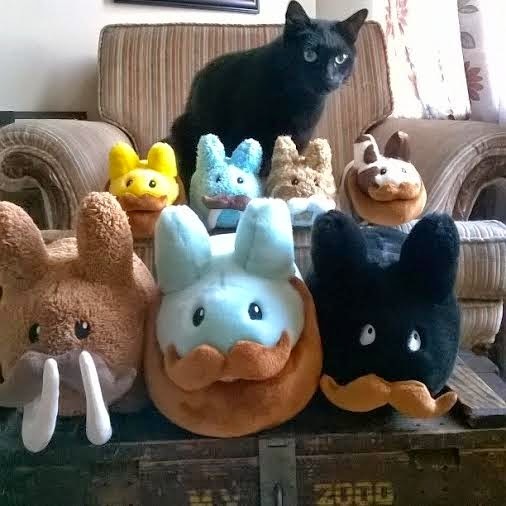 These Labbits eliminate any of that worry by coming in a cardboard halo that easily releases from the toy and can be stored safely away. And secondly, they must be made close to a catnip factory because the moment I unpacked them my cat Icarus claimed them all for himself and wouldn't let the other cats anywhere near them. Once he felt his bounty was secure he sat in the middle of them and went to sleep. We never should have let him watch The Hobbit. Smaug is not the best role model. You better get your hands on these before they go extinct (how could I not make the most obvious joke). They're available right now at www.kidrobot.com and wherever designer toys are sold.